Everyone's favourite interpreter of Pulp's oeuvre, William Shatner, is 82 today. The dancer in this pic is the lovely Tanya Lemani. 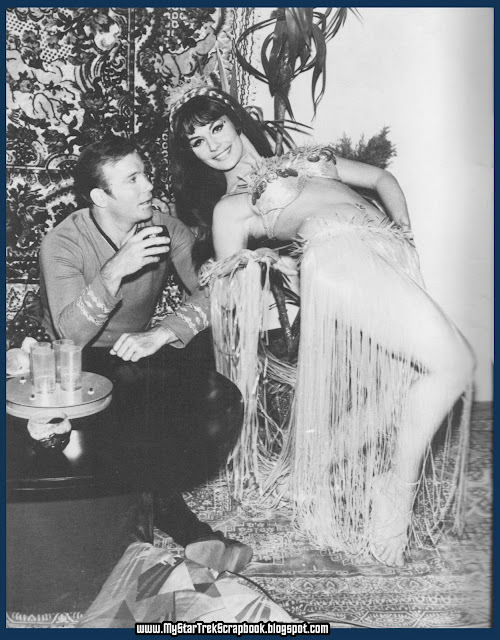 Apparently she and Bill have been snapped during a flexibility contest (either Bill won or he's kicked his boot off [look under the table]). 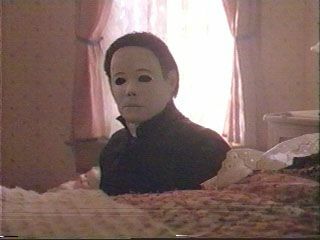 Did you know that in the original Halloween, killer Michael Myers wears a Captain Kirk mask that's been painted white? TRUE FACT. Shimmy by the Sea this weekend!